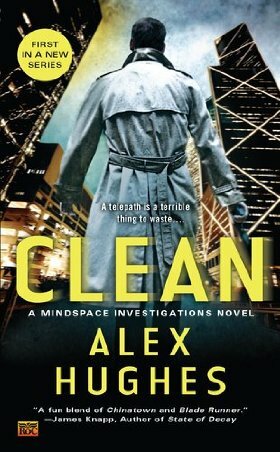 Clean is the first book in the Mindspace Investigations series by debut author Alex Hughes. The second book in the series, Sharp, will be released in April 2013. The month before that a novella titled Payoff will be released. First of all, I apologize if the following plot description for this novel is awkwardly phrased. The name of the first person narrator in this book is not revealed until the very end so I am going to avoid using his name and refer to him as “MP” (short for “Main Protagonist”). As a powerful telepath with precognitive skills, MP used his Ability to work for the Telepaths’ Guild until he developed a drug habit that got in the way of his duties. Now he works for the police department, where he is their most successful interrogator and a consultant on matters related to telepathy and the Guild. In this latter task, MP must walk the fine line between revealing enough information to help the cops he is working with without revealing so much that the Guild decides he’s a problem. Furthermore, every day is a struggle to remain clean with his need for the drug Satin permeating his life. When a string of people are murdered and the Homicide Department has no leads, Detective Isabella Cherabino decides to bring MP to the scene of the latest murder and see if he can glean any information about what happened with his Ability. The deeper MP gets into the investigation, the more convinced he is that the person behind the murders is a very dangerous person with at least one Ability of his or her own. The stakes are even higher when he has a vision in which he is being killed by the murderer while Cherabino is nearby and has obviously been abused. Can he change the future for both of them – and more importantly, can he stay clean long enough to even have the chance to try? Clean is described as a dystopian thriller on the author’s website. 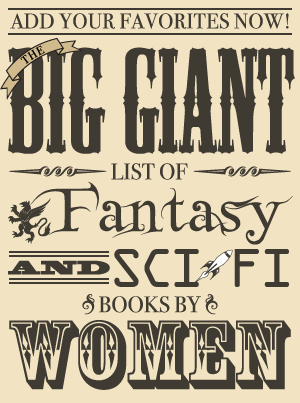 While there are some elements of speculative fiction, it’s more of a crime novel than a science fiction novel that explores the society it’s set in. Because it is does have a standard mystery plot and only a little world-building, I did find it fairly forgettable once I finished reading it. That’s not to say I didn’t have some fun with it while I was reading it because the last 150 pages or so kept me entertained and on the very edge of my seat with suspense. Yet it took awhile for it to get to the point where I really wanted to keep reading, and there wasn’t anything about the book that made it stand out from many others I’ve read in the end. The world, plot twists, writing and dialogue, and characters all faded into the background once the book was done and out of sight, and if not for writing this review (and doing some rereading in preparation) they probably would have stayed there. The setting in Clean is an altered future caused by a major event, the Tech Wars. Computer technology was used to wreak havoc on the world, and as a result, it’s illegal to own most types of computer technology. It also lead to the Guild gaining prominence since they were instrumental in ending the wars. However, they used terrifying means to do so and are also feared for their power. This is only mentioned briefly, and the details of what they did are not explained though it is also mentioned that people with a certain level of Ability are required to join whether they like it or not. Despite the fact that the main character has some wariness about them, I don’t think there’s enough specific information about the Guild to really get a sense of how terrifying they are. Between the restrictions on technology and the power the Guild has, there’s potential for the series to lean more toward a dystopia, but I didn’t think the effects of the society were shown enough in this book for it to seem particularly dystopian. It remains part of the background for now, and this installment was focused more on the case of the serial murders. The murder mystery/investigation was spiced up a bit by the main character’s use of telepathy and Mindspace to gather information about the killers, but there was still a lot of the standard questioning that comes with police dramas. Some extra suspense was added with the main character’s vision of himself and Cherabino in the grasp of the killer and the question of whether or not the future could be changed. The conclusion was a page-turner, but at the same time the way it was wrapped up was a bit of a letdown. Certain parts of the resolution were very coincidentally tied to the past of one of the characters, and this seemed rather random and like a contrived way to make the situation more personal. Most of the characters were not particularly developed, and the only two who had any significant time dedicated to their characters were Cherabino and the narrator. I did think Hughes struck a good balance with the main protagonist when it came to his drug addiction. It is shown that his addiction impacts every part of his life, but he was kept busy enough with the investigation that he didn’t gripe about wanting Satin so much that it became too much to bear. Most of Cherabino’s character exploration is just learning about her past, but the narrator’s character does actually develop over the course of the book. By the end, he’s come to a realization and made an important decision, and I liked that he at least didn’t remain static throughout the entire book. Clean wasn’t a bad book, and the fast-paced second half did make up for some earlier setup and slowness. However, there’s not much about the book that stands out as above average once it is finished, and there are parts that seem too convenient. The occurrence that drives events at the end seems too random to be natural. All in all, Clean offers some entertainment value but there’s not much to linger on once it is completed. My Rating: 5.5/10 – Mostly ok but there were some entertaining moments. Where I got my reading copy: I was contacted about reviewing the book by the author and received a copy of the book from the publisher.